OLD PARKED CARS. 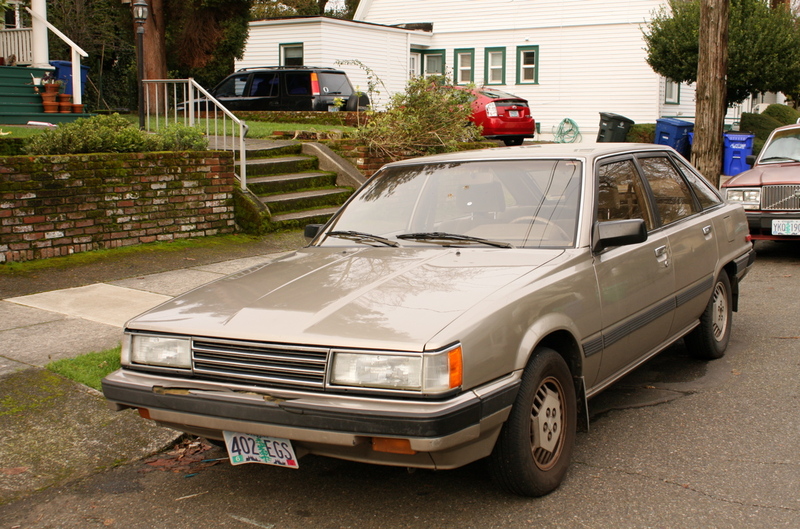 : 1986 Toyota Camry LE 5-Door Liftback. 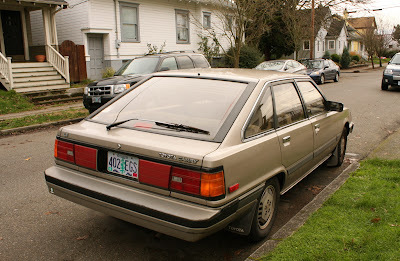 1986 Toyota Camry LE 5-Door Liftback. 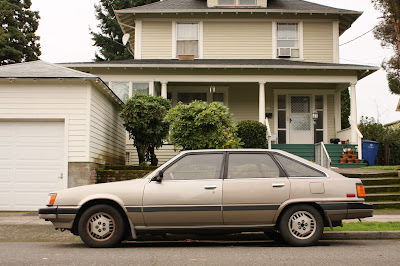 Love this gen of Camry, especially the 5 door liftback variant. Those wheels are 80's as hell, love 'em. Nice! Hate to be that "one guy" but I'm 100% sure this an '86. It has flush headlights and '86 was the only year it had a CHMSL. thanks for the tip, CM! bought one new in 86 very similar car but with 5spd(kind of rare)kept it till 2011 sold it with over 430k miles on it still stock motor&4 clutches.made it 9 times cross country from salem to virgina&atlanta wiyhout a single beat.bought a new camry in 2011 for 23 grand a total p.o.junk.i will be lucky if it passes 150kmiles. I can never explain my attraction to these cars. I will miss them when they've all rusted off the road. My brother's old neigbor in Maine had one of these. nice, looks good, these things where everywhere in norway before, but after the award for wrecking your car raised last year, many disapeared, and the ones who are left rust to death slowly in a field or in the woods in valleycountry. I had this car! It was a hand me down, and my first car. I ran it to a little over 177k miles and then ceased the engine as a stupid 16 year old would do to such an awesome car! This car gave me my found love for hatchbacks. I am forever grateful to it.